Our family loves Sriracha sauce, a Thai hot sauce, very much. It tastes tangy-sweet, a bit spicy, yet not too hot. The sauce is very popular in many countries and has got many people hooked. One of the magic jobs done by Sriracha is that it can make baked meats so flavoursome. I didn’t need a second thought and squeezed some of this magic sauce to marinate the chicken drumsticks. This baked chicken drumstick recipe is a no-brainer. It won’t fail you at all, if only you forget your baking goods in oven. I know, you won’t as some tender, juicy chicken drumsticks with sticky, yummy sauce on are expected in just a while . Rinse the chicken drumsticks. Wipe dry with paper towels. Set aside. Prepare an oven-friendly container. Put all the ingredients into it. Mix with the chicken drumsticks well. Marinade for at least 30 minutes. Or chill in fridge overnight. 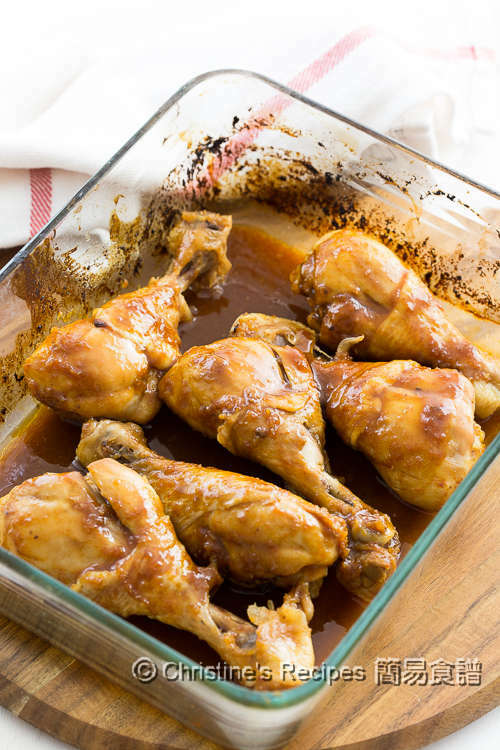 Bake the chicken drumsticks in the preheated oven for 40 to 45 minutes. Flip the drumsticks to the other side in the middle of baking. Continue to bake until the chicken drumsticks are cooked through. Serve hot. I used an oven-friendly glass container, so handy for marinating and baking. Ceramic baking tray is also a good choice for baking meat. The sauce inside won’t be gone and burnt as quickly as metal tray. Don’t leave it unattended especially towards the end of baking.. The power of each oven is very different. Adjust the baking time accordingly. 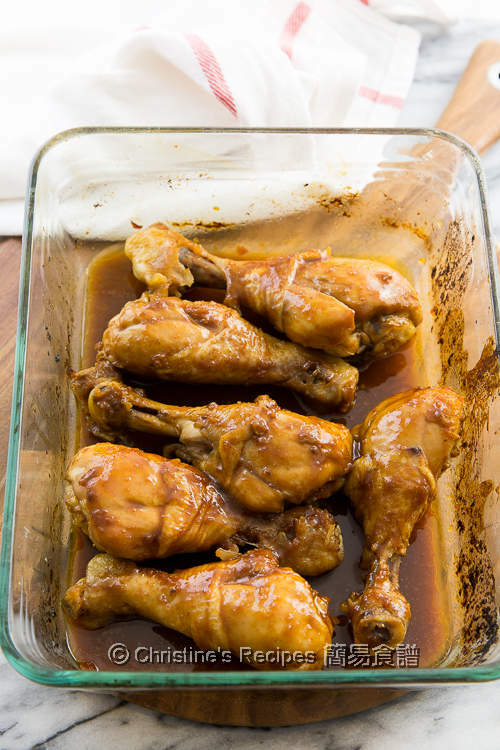 If chilling the chicken drumsticks in fridge overnight, rest them at room temperature for about 20 minutes before baking. 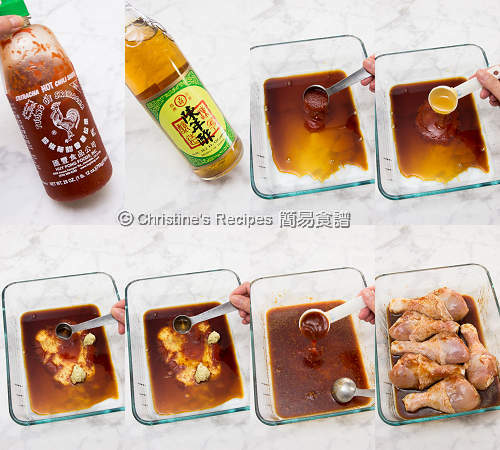 I LOVE sriracha too and the pairing with honey is so perfect...sweet and hot...mouthwatering, Christine. Delicious recipe. Thank you very much for your recipe. Glad that you liked it, Simone.